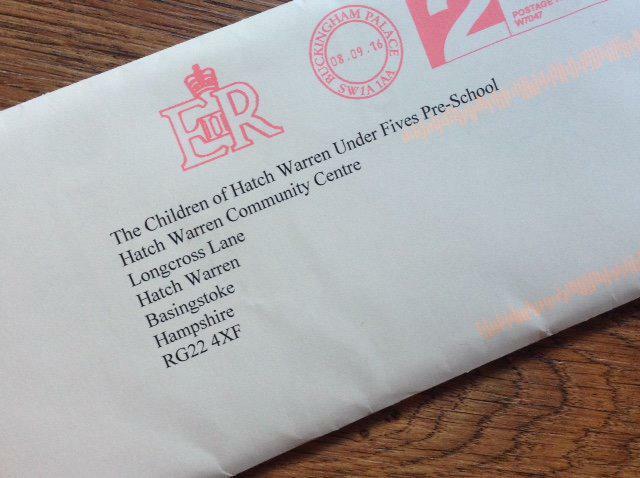 There was much excitement at Hatch Warren Under Fives this week, when the children received a letter from the Queen! The letter, bearing the official ER and Buckingham Palace stamp, was a huge surprise for Michelle, Head of Preschool, and for the children. Inside was a thank you card from the Queen, a personal letter from Her Majesty’s Lady-in-Waiting and some brochures about the Palace and the Crown Jewels. Back in June, the children of Hatch Warren Under Fives had a great week celebrating the Queen’s 90th Birthday. 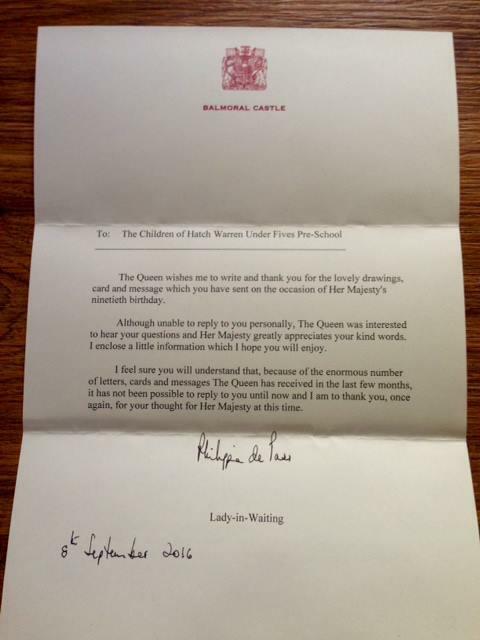 They sent Her Majesty a card, some very special drawings and their own messages. And this week they’ve been rewarded for their hard work with this very unique and special memento. What a great and exciting start to the new preschool year!